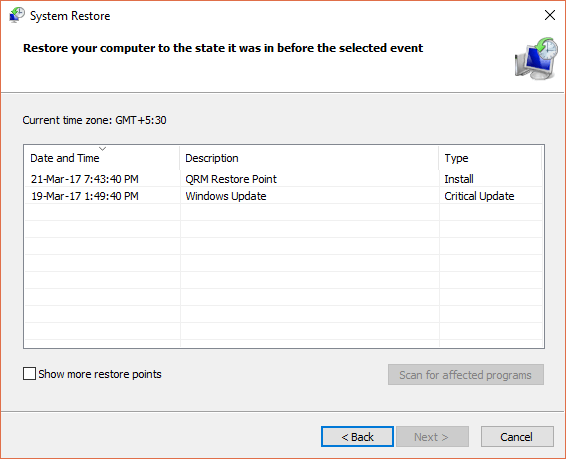 Quick Restore Maker is the latest utility developed by me and released by The Windows Club. It allows you to create a system restore point with just a click and it supports Windows 10/8/7. It’s especially important in case you’re testing some new software and wish to create a new restore point instantly. First, download this portable utility. Since it’s portable, it doesn’t require any installation and you can just start the executable after unzipping the downloaded file. After running the program just hit the Create Restore Point button and it will start creating the restore point and may take few seconds. Finally, you will get confirmation. Further, you can add an option to create a restore point in Desktop Right-Click menu. This way, creating a restore point will never be lengthy. The utility is completely free and portable without any adware.